Back in the dark days of 1941, Katherine Anne Porter began a novel that was intended as an allegory of the Nazi rise to power. Ship of Fools was set entirely on an ocean liner sailing from Veracruz, Mexico to Bremerhaven, Germany in 1933. Passengers of many nationalities were thrown together on a voyage that revealed the darkness inside each of them. 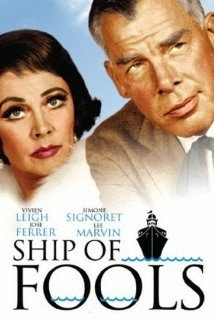 I just saw Ship of Fools on the big screen as part of the Stanley Kramer Centennial series, now at the Billy Wilder Theater through September 29. 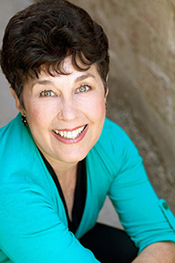 Before the screening began, Karen Sharpe Kramer reminisced about how, as an ingénue shooting a Jerry Lewis film on the Paramount lot, she had slipped into the soundstage where the big ship had been built, determined to see some famous actors at work. Her brief encounter with director Kramer set off a chain of events that led to their marriage nine months later. Another guest on the Wilder stage was BarBara Luna, who had played a tempestuous member of Greco’s dance troupe. One of Luna’s most vivid memories was of co-star Lee Marvin chasing her around the set, even getting his foot caught in a fire-bucket in the process. She also spoke about the famous scene in which Marvin (as a washed-up baseball player) drunkenly invades the cabin of socialite Vivien Leigh, who wards off his advances by hammering him with her evening slipper. In Luna’s vivid telling, one of Leigh’s blows shattered Marvin’s nose. Dwayne Epstein is having none of that. Epstein’s biography, Lee Marvin: Point Blank, is newly in print. But Epstein worked on this labor-of-love for two decades, and so was able to interview Hollywood movers and shakers who are now, alas, long gone. Back in 1994 he discussed the Marvin-Leigh scene with Stanley Kramer, who decried the fact that that the old rumor was still afloat. (Marvin’s broken beak actually stemmed from an encounter with Martin Milner on the TV series, Route 66.) As Epstein discovered, Marvin held onto the shoe with which Leigh had assailed him as a cherished memento. There are many more stories to be told about marvelous Lee Marvin. Visitors to this Sunday’s West Hollywood Book Fair will hear some of them, because Dwayne Epstein is one of the speakers on a Hollywood Biography panel I’ll be moderating. Another participant is B. James Gladstone, a show biz attorney who wrote The Man Who Seduced Hollywood: The Life and Loves of Greg Bautzer, Tinseltown’s Most Powerful Lawyer. The immortal Milt Larsen will also be on hand to talk about My Magical Journey, and my fourth panelist is Michael Z. Stern, whose memoir details his unlikely friendship with Lucille Ball. Y’all come! If you’re reading this on September 24, be forewarned that (thanks to the tireless efforts of founder Jeff Rubin) it’s National Punctuation Day. You just barely have time to dash out and buy your sweetheart a nosegay of commas or one perfect semicolon. I jest, of course, though correct punctuation is no laughing matter. This holds true even in the movie industry, where linguistic correctness is low on the scale of priorities. My former boss, Roger Corman, scored big in the Sixties with a movie about the Hells Angels, who as social outlaws have never bothered using an apostrophe to indicate the possessive. Maybe that’s why my writing students -- iconoclasts all – drive me crazy with their cavalier approach to punctuation. These recipe’s were taught to me by my mother. Machine’s flash and churn around her. Anne nods, let’s go of the dish, turns back to the sink. Now, lets drink a toast. I think its best never to argue with a man of the cloth. The man who ruined both Smith brother’s lives. I’ll bet your freezing out here in this cold. He won’t even notice your gone. You’re little brother came to me. I should add that Connie Hale grew up in the Hawaiian Islands (and is, by the way, an expert on traditional hula). When writing the name of her native state, she always adds an apostrophe: Hawai’i. So she’s earned a place in my punctuation tribute. A verbal hibiscus lei to you, Ms. Hale! Since the big remodel, there’ve been TV sets scattered throughout the locker room at my health club. And, come to think of it, there are TVs all over the workout area too, including those cute individual sets that keep me amused while I sweat on the treadmill. Seems as though fitness and electronic media go hand in hand. That’s not a new phenomenon, of course. In fact, there’s a long history of firm-bodied professionals taking to the airwaves to preach the gospel of fitness. 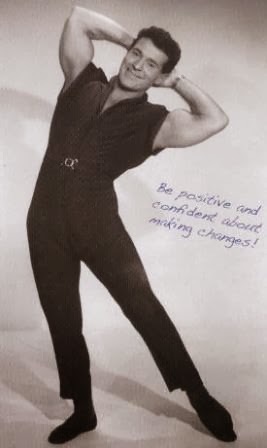 Back when I was a kid, my weight-conscious mother would flip on the Jack LaLanne Show, hoping to lose unsightly flab by exercising along with the jumpsuited guru on our living-room Zenith. My sister and I found LaLanne hilarious, and liked to mock his sentimental closing song. If memory serves, it was crooned to the tune of “O Sole Mio” (“It’s time to leave you/ Let’s say goodbye/ These precious moments/ Just seem to fly”). To us LaLanne was insufferably cornball, but he inspired many a restless housewife to at least think about getting in shape. Needless to say, there’ve been many televised exercise kings (and queens) since. Richard Simmons, for one, has parlayed his zany brand of fitness into game show appearances, talk shows, and commercials, along with frequent TV and movie roles. But it’s always surprising to go to my gym for an exercise class and meet an instructor who seems to be auditioning for a major Hollywood gig. That’s how I felt when I chanced to attend a “Dance with Me” class led by Billy Blanks Jr. and his actress-wife Sharon Catherine. The two make a charming couple, and lots of gym rats turn out for their high-energy danceathons. And it’s undeniably fun to form a big circle and cheer for classmates who are strutting their stuff. Only later do you realize that – much as you enjoy their sessions – you’ve spent a fair amount of time simply watching other people bring it on. Which is not exactly the point, right? Today my usual Zumba class had a substitute teacher, Derrick J. Garcia, who was Hollywood all the way. Before starting, this dynamo immediately presented his credentials: he told us he’s the Zumba instructor on TV’s The Biggest Loser, and dances professionally at Richard Simmons events. He then launched into a blisteringly fast set of dance moves, accompanied by almost non-stop patter. Many of his references were show-bizzy: Oprah, Beyoncé, Mr. Miyagi from The Karate Kid (“Wax on, wax off”) Not to mention suggestive, like encouraging us to shake “that junk in the trunk.” Derrick’s moves were often embellished by shimmies, naughty wiggles, and unabashed mugging: he repeatedly crossed his eyes for us, and probably twerked too. In fact, I concluded that Derrick is in line to be the Cal Worthington of fitness. Like Worthington, who’s sadly gone on to that big used-car lot in the sky, he would probably stand on his head to achieve his goal: getting us moving. If Derrick is Cal Worthington for the exercise set, he cribs a bit of Oprah too. At the end of class we were required to look in the big mirrors and recite affirmations: “I am beautiful . . . strong . . . kind . . . smart.” Fifty sweaty Zumba enthusiasts stumbled out of the workout room in a happy daze, feeling (though surely not looking) like a million bucks. In the locker room a friendly older lady paused to consider Derrick’s metrosexual appeal. Said she, “There’s men and there’s women. He’s the next generation.” Yes, and definitely ready for his close-up. 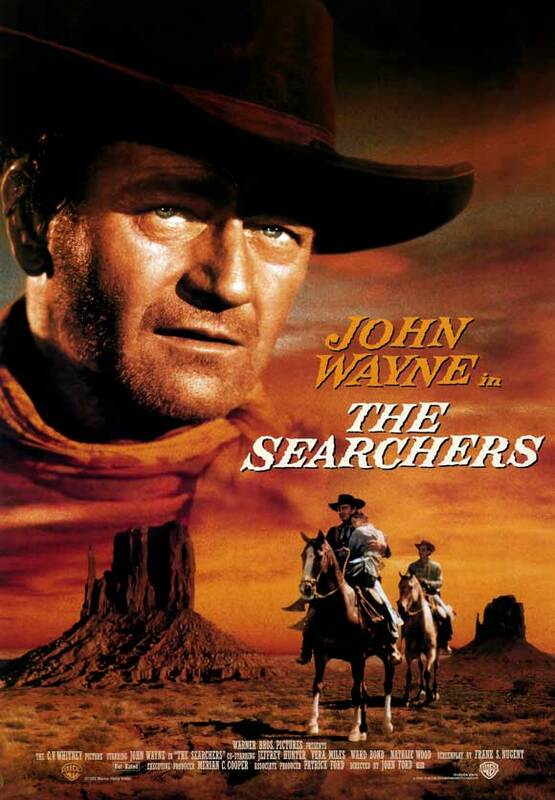 When I first saw The Searchers, I was baffled. I had sought it out because such tastemakers as Steven Spielberg, George Lucas, and Martin Scorsese were proclaiming it one of Hollywood’s greatest films. By the time I watched The Searchers, I had shaken off my parents’ disdain for Westerns. I admired John Ford as a filmmaker, and knew to appreciate the iconic power of John Wayne as a leading man. Still, the film left me perplexed. There was, for one thing, its wildly shifting tone: stark tragedy and raucous comedy danced cheek to cheek. The Searchers (1956) also felt somehow shapeless, lacking the tightly controlled forward momentum of Ford’s 1939 prizewinner, Stagecoach. And the John Wayne of Stagecoach – a man of rough-hewn but unmistakable nobility – is not exactly the John Wayne who appears in The Searchers. As a Civil War veteran who dedicates his life to finding the young niece abducted by Comanche marauders, he definitely merits admiration. Yet he’s got a mean streak a mile wide. What was I to make of that? Unlike me, journalist Glenn Frankel has been a fan of The Searchers since childhood. He grew up to work for the Washington Post, earning a Pulitzer Prize for his coverage of the Middle East. Perhaps his years of observing the Arab-Israeli conflict gave him a special grasp of the tensions between Indians and settlers that lie at the heart of Ford’s film. In any case, he’s earned cheers from movie history buffs with his third book, The Searchers: The Making of an American Legend. Frankel knows everything worth knowing about the conditions under which the film was made. I loved the details about shooting in Monument Valley, a Navajo tribal reserve lacking pretty much everything but gorgeous scenery: no telephones, no public water system, no electrical grid. Most of the actors camped out in a tent city for months on end; food and ice were trucked in from Utah. Ford was happy to improve the lot of local Navajos by hiring them as extras, and used a local shaman to guarantee favorable weather. What I didn’t expect from Frankel’s book was a foray into Texas history, and an introduction to the girl whose real-life abduction by Indians inspired the movie’s plot. Cynthia Ann Parker was nine years old when she was carried off by a Comanche war band that had massacred her parents. She later married and had three children by her Comanche husband, before being recaptured by Texas Rangers twenty-four years later. Though welcomed back by family members, she never re-adjusted to the white man’s ways and apparently died a tragic figure. Her uncle James’ obsessive search for her forms of the core of John Ford’s movie. In The Searchers, young Debbie is mostly absent. She’s the McGuffin of the film, the object of the search, without clear-cut desires of her own. As played by the young and lovely Natalie Wood, she’s almost opaque. In contrast, there’s John Wayne’s role as the tough, smart, angry, lonely Uncle Ethan. It’s part of Ford’s aesthetic to strip away most of the explanations behind Ethan’s behavior. But surely Ford is exploring the bold contradictions embedded within the frontier mentality. 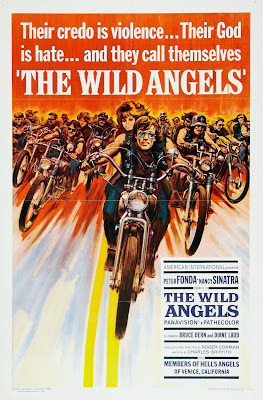 Says Frankel, “While The Searchers pays homage to the familiar themes of the classic Western, it also undermines them. Its central character possesses all of the manly virtues and dark charisma of the Western hero, yet is tainted by racism and crazed with revenge.” That’s what makes The Searchers so fascinating. It’s about square dances and family breakfasts and a murderous loner who’s still heroic in his own way. So SoCal icon Cal Worthington has rated an obit in the New York Times. Worthington, who died this week at 92, was known to Southern Californians of a certain age for hawking cars on local TV with the help of a catchy jingle and a lot of wacky stunts. Like, for instance, strapping himself to the wing of a soaring biplane, or acting out his promise to “stand upon my head to beat all deals.” He also enjoyed posing with exotic animals, each of them introduced as “my dog Spot.” In his heyday, Worthington was regarded as a folk hero, a genuine California crazy who frequently guested with Johnny Carson and played himself in several Hollywood films. When TV sets appeared in our living rooms, Cal Worthington discovered a way to enter our homes and make a buck – or several. But he’s not the only guy who saw profit in the commercial side of television. A long string of Hollywood actors, most of them past their prime on the big screen, have found TV commercials to be a lucrative sideline. One of the first I remember was that iconic tough guy, Edward G. Robinson. Off-camera, he was known to be a connoisseur of the finer things, and I recall a rather elegant commercial that played upon this image. Robinson sat, beautifully lit, in a comfortable chair, while Rachmaninoff’s “Rhapsody on a Theme of Paganini” played in the background. There was a fire in the fireplace, a silver coffee service beside him, and the camera dollied in as he sipped appreciatively whatever brand he was shilling. Later I recall a still-adorable Anna Maria Alberghetti (decades after being the toast of Broadway) mixing a salad in a prop kitchen and earnestly insisting, “Bottled dressing? Not on my fresh salad.” She urged us to buy Good Seasons, a seasoning packet you mixed with oil and vinegar for that just-made touch. A whole raft of Hollywood character actors found a new lease on life by playing popular characters on commercials. Jane Withers, once a top child star, was Josephine the Plumber on behalf of Comet cleanser. Avuncular Wilfrid Brimley spent decades touting the virtues of Quaker Oats. 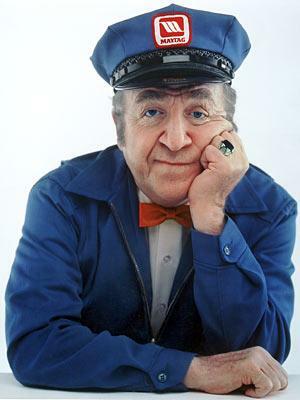 Comic actor Jesse White, who once voiced a series of humorous ads for Western Airlines, also played the woebegone Maytag repairman, who because of his product’s reliability was fated to be the loneliest guy in town. Many A-list actors who wouldn’t stoop to being TV hucksters in this country have found huge paydays in faraway places like Japan. This is beautifully captured in Lost in Translation, where Bill Murray’s character is earning $2 million just to say “For relaxing times, make it Suntory time.” Meanwhile, a few lucky nobodies have ridden a popular series of commercials to fame and fortune. I well remember Sandy Duncan as a perky teller for United California Bank, winning our hearts as she grappled with names like Nicholas H. Janopoporopolus. Those commercials got her noticed, and voila! – she had her own TV series. And Barbara Feldon turned heads while lying on a tiger rug and purring about the virtues of a men’s hair pomade called Top Brass. Next thing we knew, she was Maxwell Smart’s Agent 99. Now we have Flo, she of the retro hair and makeup, who has been the weirdly enthusiastic spokeswoman for Progressive Insurance since 2008. She’s played by actress Stephanie Courtney, but will Courtney’s long-term career get a major boost from this role? Maybe we just don’t pay much attention to TV commercials these days. And to me, the GEICO gecko is much cuter.